Imagine spending warm summer days and evenings cruising on one of the largest natural lakes between Minnetonka, Minnesota and the Gulf of Mexico. 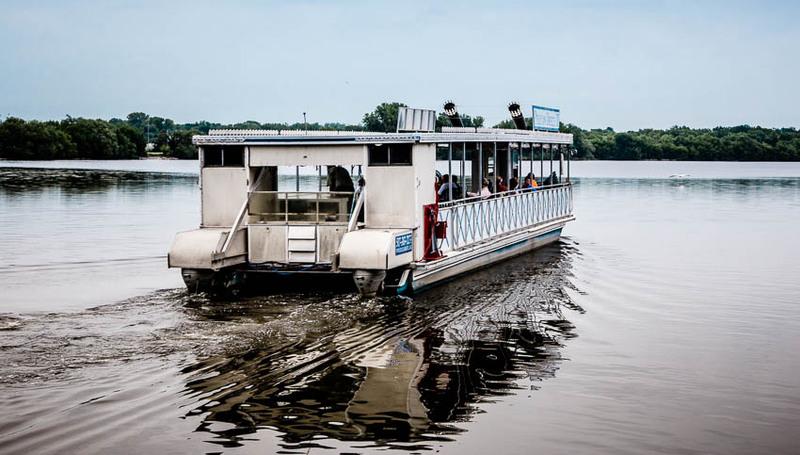 The Pelican Breeze II Tour and Dinner Boat, on Albert Lea Lake, is a 60-foot pontoon river-boat styled boat with a seating capacity for 55 and we are licensed for 62. It features 2 smoke stacks, a paddle wheel, wet bar, tables, and can be enclosed for inclement weather. Enjoy historically-narrated tours, specialty events or plan your own private outing any day of the week. Full catering services and entertainment are available upon request. Every cruise is hosted by a Minnesota-licensed Captain and First Mate. The boat is U.S. Coast Guard and Minnesota certified for your safety. Come cruise with us on beautiful Albert Lea Lake.